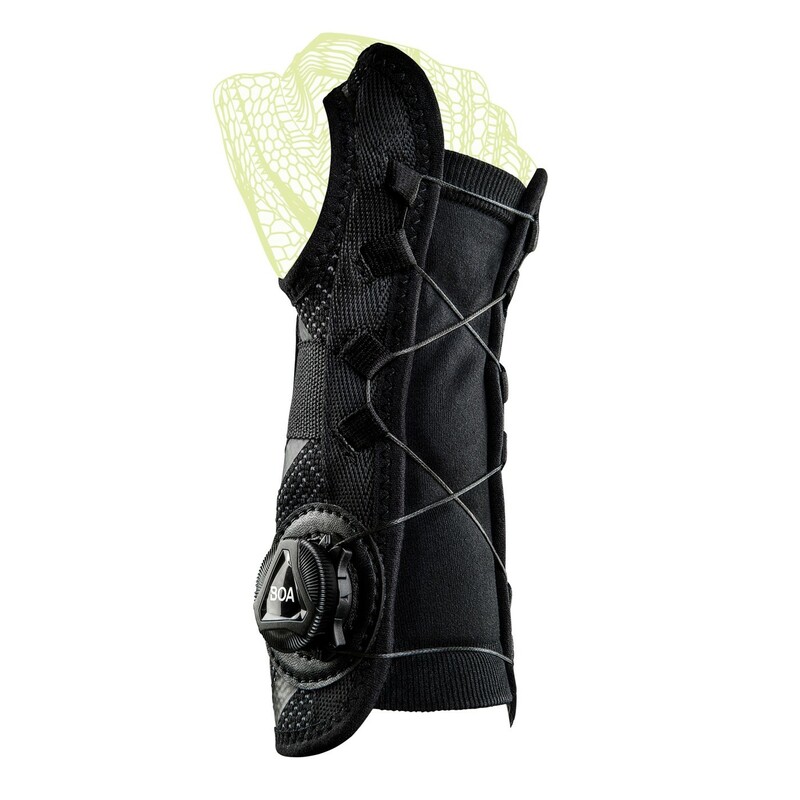 A compression knit wrist brace with the Boa® Fit System. 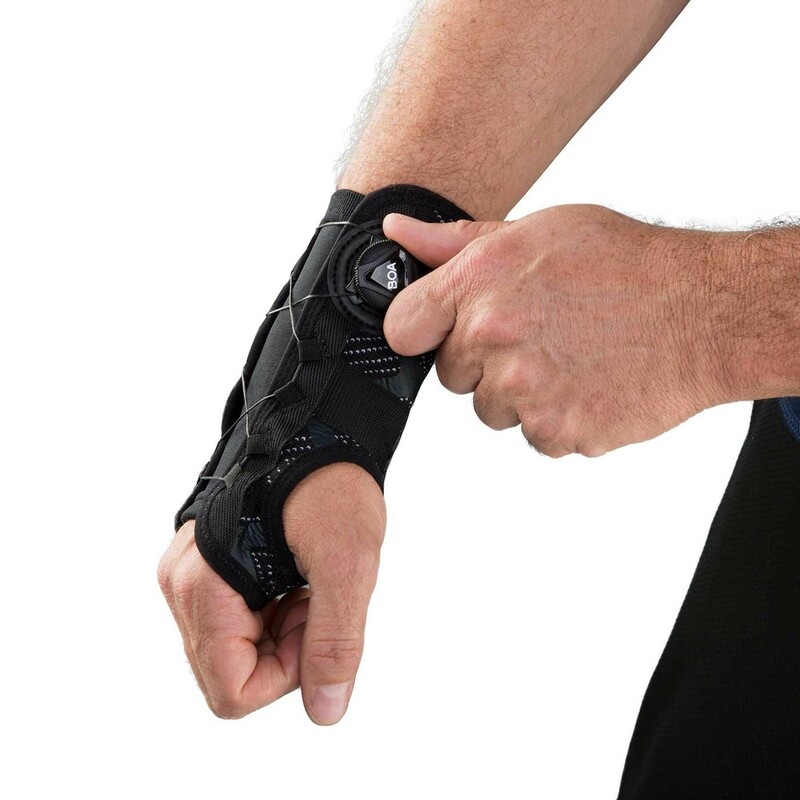 The DonJoy® Performance Bionic™ Reel-Adjust Wrist Brace is a lightweight wrist brace that can help ease symptoms associated with Carpal Tunnel, Mild Sprains and Strains, Tendonitis, Wrist Instabilities. 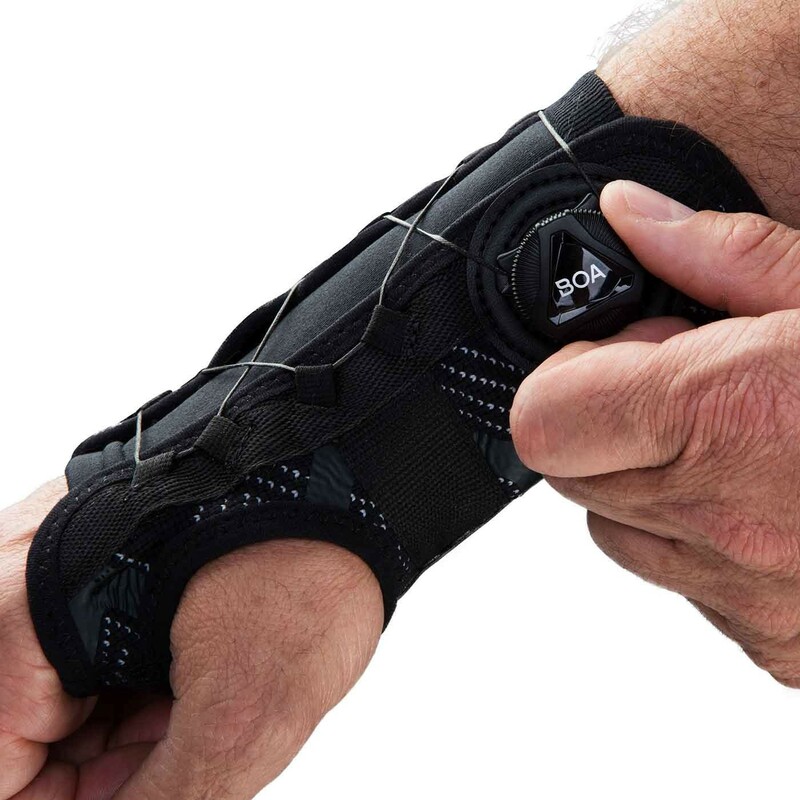 Delivering support and comfort, this wrist support features a removable palmar stay and the Boa® Fit System for a more customizable, secure fit. 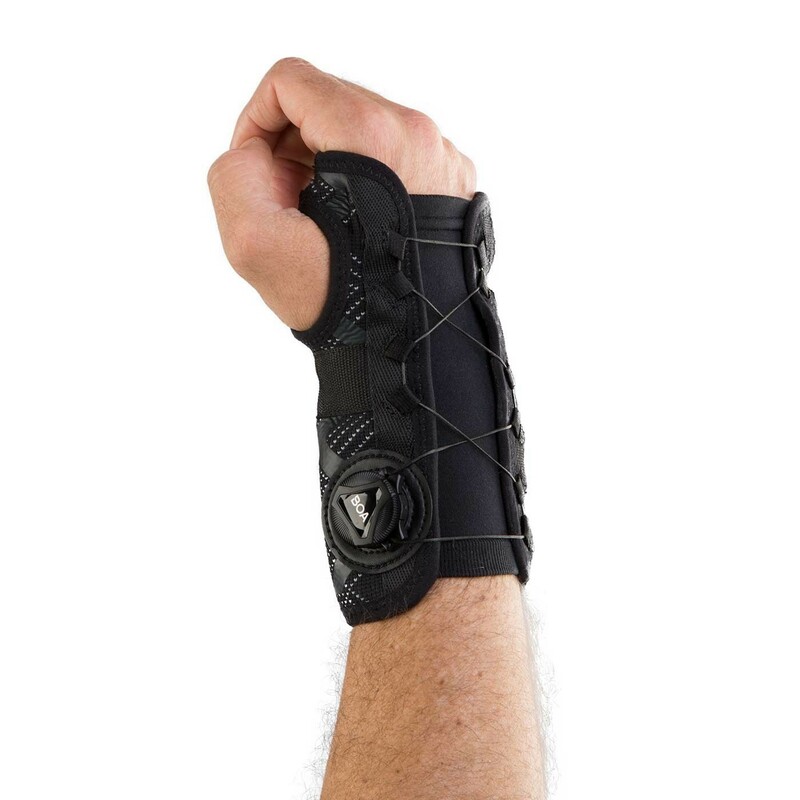 Designed to support the wrist during sport without movement restrictions (of the fingers), the Bionic™ Reel-Adjust Wrist Brace is constructed with stretch knit material and spandex under-sleeve which delivers compression, breathability and comfort. First, loosen the brace by lifting up on the Boa® dial until it clicks. Then, slide the hand into the sleeve until the thumb is in the thumb opening. Push the Boa® dial down until it clicks and then turn the dial clockwise for a desired fit. 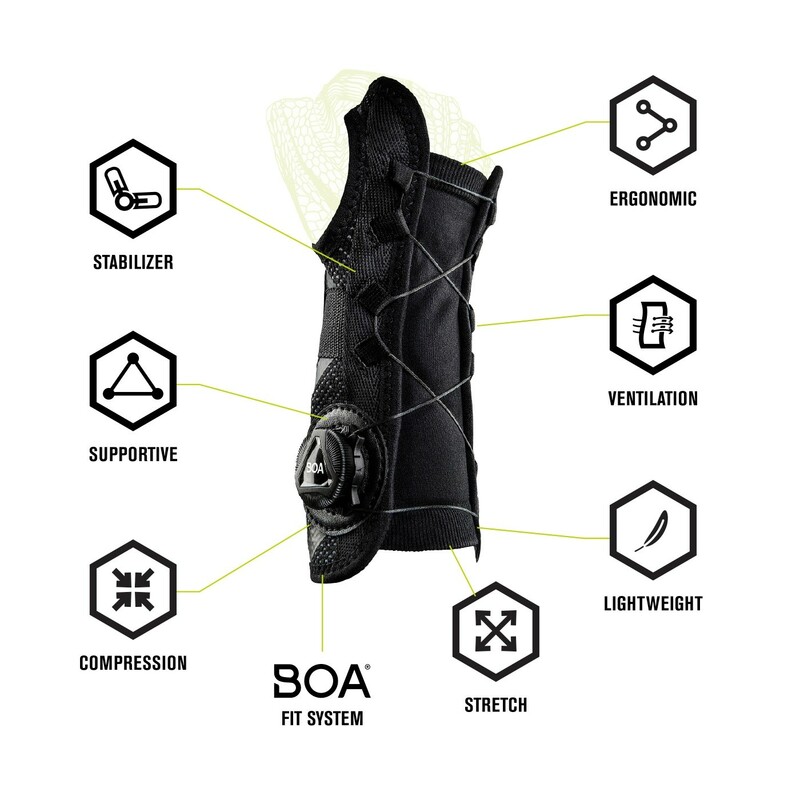 To loosen the brace, lift the Boa® dial up until it clicks and then re-tighten it by turning the dial clockwise.